Rory McIlroy was headed back to the comforts of his palatial Florida abode but with the unwanted excess baggage of having now broken his longest run without a victory trophy. Despite birding his closing two holes on day four of the Genesis Open it has now been 16 months and 24 days since McIlroy tasted his last success in winning the 2016 Tour Championship. That’s longer than it took him to capture his first pro career title early in 2009 and after the joining the pro ranks in late 2007. McIroy, however, was in good spirits heading to the scorer’s room located in the Riviera Ladies locker room having birdied his closing two holes in a best-of-the-week 68 for a three-under par tally having begun his week with a birdie and ended landing a laser-like 112-yard wedge to just three-feet and knocked-in the putt. Sandwiched in between his first and seventy second hole birdies were rounds of 71, 69 and 73 that included two eagles, each at Riviera’s short par-5 first hole, along with a dozen birdies but also 11 bogeys and one double-bogey. 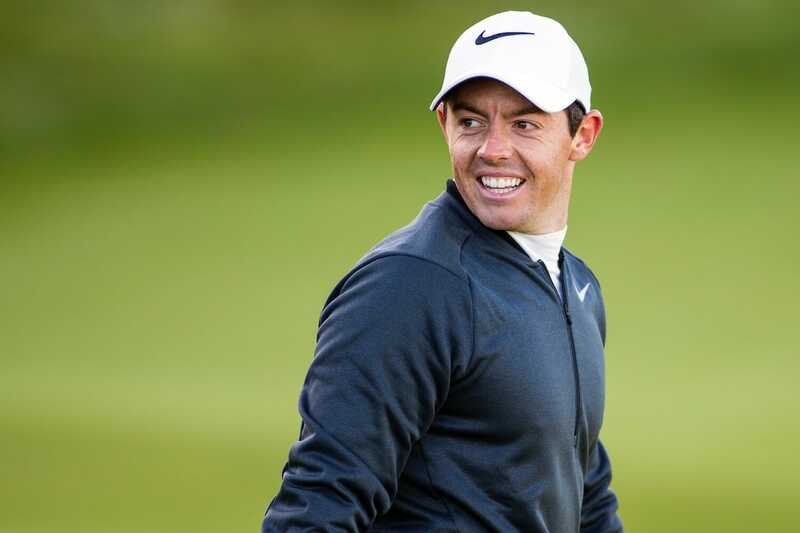 And while McIlroy left the course, with a smile on his face, it was very much a week that easily ‘could have been’ with his driving not all that accurate (hitting 31 of 56 fairways) while he also only hit 42 of 72 greens in regulation which translates into just 58.3%. However, once again, the biggest worry for McIlroy continues to be the shortest club in the bag, though in fairness it was a little brighter on day four with seven one-putts and a pair of three-putts. McIlroy will tee-up in the Honda Classic, an event where he made his PGA Tour debut in 2009 and then captured in 2012 to go to World No. 1, having now played four of eight events in the lead-up to April’s Masters. And he was asked to assess if he’s on track in terms of his Augusta preparations. This week’s Honda Classic has always been on McIlroy’s schedule as he returned in 2014 to play all four rounds only to lose out in a play-off. He’s missed the cut in his last two Honda Classic showings in 2015 and 16 however, while he didn’t contest the event a year ago due to a rib injury that, in the bigger picture, ruined his 2017 season. This week though he will have wife, Erica out supporting for a first occasion and no doubt looking to feast out next Sunday night on a first PGA Tour victory since October 2016.